Have you enabled mobile site for your Blogger/blogspot.com blog yet? If not, do it ASAP because there are 173 million mobile phone users in the U.S. alone and 71.6% of them are using smartphone to access Internet ! 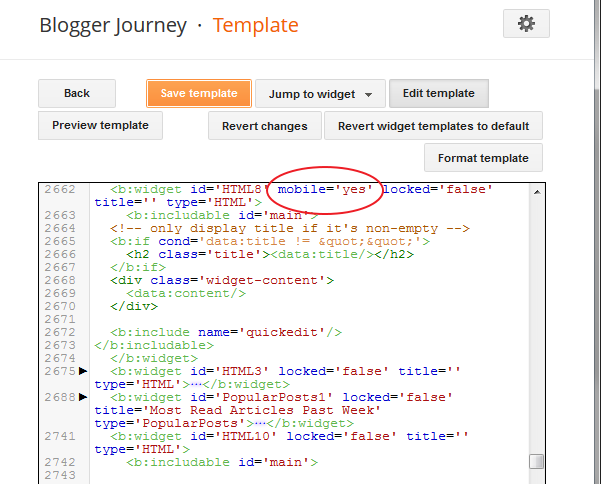 You can get tips from my previous post on how to enable the mobile template: How to Enable Blogger Mobile Template For Smart Phone Users to Access. If you already enabled mobile site, did you notice that by default, the mobile site does not display widgets/ gadgets that you added to the blog? It only displays the posts - that means, you see your widgets on the blog's desktop version, but not the mobile version. Note: Each widget on Blogger / Blogspot has a unique Widget ID. You will need to use this unique ID to locate the widget's HTML codes in the template. From the top address bar, move cursor to the very right, you will see something like "widgetId=HTML8". Then HTML8 is the Widget ID that you need to write down. 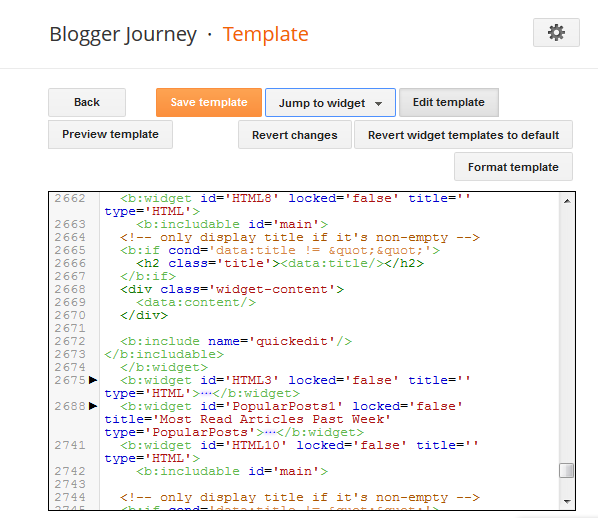 From dashboard, click on Template->Edit HTML. In the popup editing window as in following screenshot,at the top click on the down-arrow at right of "Jump to widget" tab, then choose the Widget ID that your got from Step 1. In my case, I click on "HTML8", as in following screen. Note: add a space before after mobile='yes'. 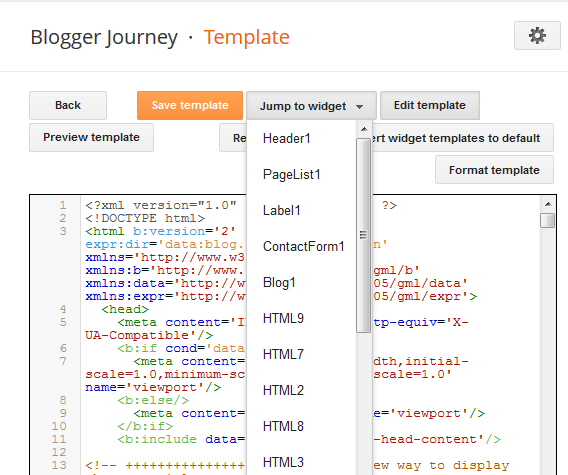 At the top of the editing window, Click on the big orange button "Save Template". You done ! Now, use smartphone open your blog. Do you see the widget show up at the bottom of the blog? Or, from your desktop computer accessing the mobile version by putting ?m=1 to the end of your blog address. See mine at http://www.bloggerjourney.com/?m=1 It's not that pretty but works. What do you think?